Lizzy Yarnold’s gold in the Women’s Skeleton has written her name in to the annals of British Winter Olympics history. It also sparked debate as Royal Mail confirmed that our latest gold medal winner would not receive the honour of appearing on a postage stamp or having a post box painted gold in her home town of Sevenoaks, Kent. 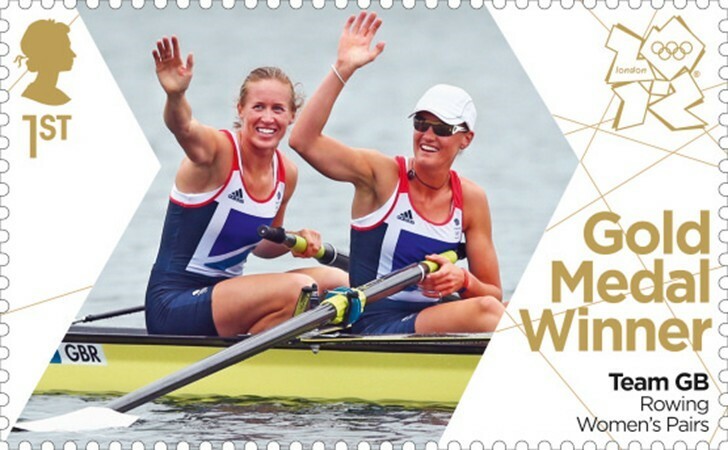 The first ever Gold Medal Winners stamp to be issued, featuring Helen Glover and Heather Stanning. Although each British Gold Medal winner in both the London 2012 Olympics and Paralympics received these honours, Royal Mail has insisted that the tributes were a one-off gesture intended for British gold medalists at their home games in 2012. “The UK hosted the Games and our athletes extraordinarily well. Because of our status as the host nation, Royal Mail chose to mark the achievement of our athletes through gold post boxes as well as stamps.